The CEO of green utility Good Energy has called UK government cuts to renewable energy subsidies “a hatchet job” enacted without appreciation for the positive impact renewables were having on wholesale energy prices. 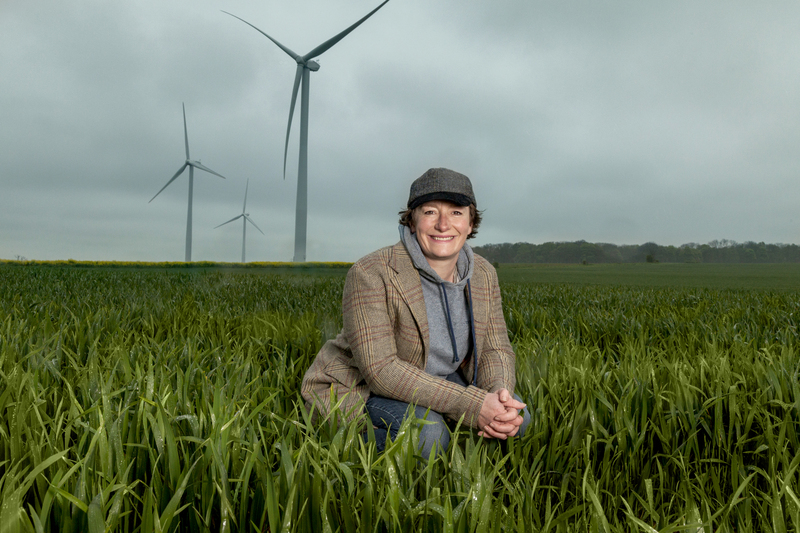 In an interview with Unearthed, Juliet Davenport explained that the Conservative Party’s policy on wind and solar is “not logical” and that they were “terrified by the figures people from the Department of Energy and Climate Change (DECC) were showing them”. In recent weeks everyone and their dog has been lining up to slam DECC over its controversial cuts, which have so far led to the collapse of four UK solar firms, thousands of jobs lost and a number of community energy projects scrapped. The Tories’ manifesto pledge to “halt the spread of wind farms” coupled with its proposals to both cut the Feed-in-Tariff (FiT) small scale solar subsidy by a gargantuan 87% and end the Renewables Obligation one year early has rubbed the renewables sector the wrong way. Al Gore said he was ‘puzzled’ by these policies, diplomats from around the world are equally baffled, international green energy giants have accused the UK of ‘eliminating its solar sector’, and even mom-and-pop firms from energy ministers’ own backyards are dismayed. So we decided to talk to a utility, and not just any utility: Good Energy, which sources 100% from renewables. During our chat Juliet Davenport was exceedingly diplomatic – “what they’ve done they’ve already done” – and yet she still decried the cuts as “not logical”. She speculated that upon their surprise majority election in May, the Tories were “terrified by the figures people from DECC were showing them”. Believing government financial support for wind and solar would significantly inflate consumer energy bills, they took drastic action and all-but-scrapped the subsidy for rooftop and community solar projects. The cost of solar has plummeted by around 75% over the past five years. So are the green cuts driven by ideology? Certainly the move to scrap ‘blight-on-the-landscape’ onshore wind – the cheapest available clean energy – was done to appease their countryside constituency. Wrestling with herself over just how far to go, Davenport admitted: “With the ban of onshore wind, it does seem to move in that direction. “That’s the first time we’ve seen a particular technology singled out for removal. It’s the first time that’s happened in policy in 10 or 15 years. What really grinds the greens is just as solar is suffering, a singular nuclear plant is being gifted a choice multibillion pound package by the government. That’s not to say there wasn’t need for subsidy reform, she explained. “The FiT process is not being run in the best way possible. So what caused this panic-induced subsidy slasher film? It boils down to the Levy Control Framework (LCF), a mechanism used to cap how much the consumer would pay to support renewable energy. In July government said it expected green subsidy spend to exceed the £7.6 billion cap in 2020-21 by £1.5 billion. Referencing a recent Good Energy report, Davenport said that in 2014 wind and solar reduced the wholesale cost by between £1.7 and £2 billion – which means the LCF isn’t the right measure. Davenport concluded: “Their concern has not taken into account the Merit Order Effect” – a rule which essentially says renewables drive down energy prices since they don’t have fuel costs. And then she dove in eagerly to discuss the semantics of subsidies, which she classifies as “anything used to support one technology over another”. To those like energy minister Andrea Leadsom who are challenging renewables “to stand on their own two feet”, Davenport says bring it on. “Our long term aim would be to see no support in this market at all if possible. We’d love to see a level playing field. “But if we’re going to talk about a level playing field, there seems to be a language issue over what the definition of a subsidy is. This fight over subsidies and the language used by government to dismiss the rising penetration of renewables distracts what really should be a British success story. This past quarter wind and solar hit more than 25%, up nearly 9% from a year earlier and overtaking coal and nuclear in the UK generation mix for the first time ever. Part of the reason the FiT cuts are happening is that so many people are putting panels on their roofs. “But,” Davenport finishes, “this market is being put together to have large centralised power stations distribute energy out to households.